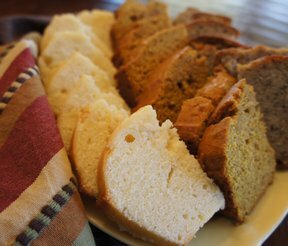 This pound cake is very moist and delicious. The small amount of lemon zest and orange marmalade adds just the right amount of citrus flavor that accompanies the tanginess of the yogurt. It will become a favorite of your cake recipes. With a mixer, combine the 1 cup of yogurt, sugar, eggs, vanilla, oil and lemon zest. 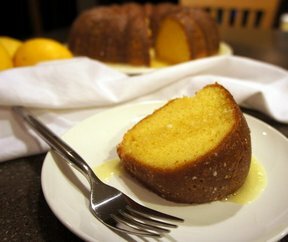 Pour into a greased loaf pan and place in a 350°F preheated oven for 45 minutes or until a toothpick inserted in the center of the cake comes out clean. Allow the cake to cool slightly in the pan. Remove the cake from the pan and place onto a serving platter. In a small saucepan, heat the orange marmalade just until melted and then stir in the 1/4 cup of yogurt. Remove from the heat and allow to cool slightly. 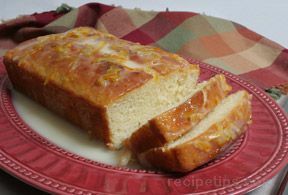 Then just slowly pour the marmalade mixture over the cake and allow it to pool around the bottom of the cake.